Totally new approach to the creation of crocheted clothes. Totally new approach to presentation of crochet process. Totally amazing feelings when you do it. Step-by-step colored schemes with instructions in English. Step-by-step photo materials that demonstrate the process of creating a crochet project. Standard basic pattern in size "M" (US size 6-8). Pattern made by your individual measurements. Video tutorials with detailed instructions about making a crochet project. Kit of high-quality yarn for making a crochet project. Steel crochet hook in size 1.75 mm. Selection of yarn for your project by fashion designer. Free shipping of parcel worldwide. Additional pattern in the required size. Additional consultations with Julia Tushnicka during 6 months. Full Crochet course "Secrets of Skirt Quincy" consists of 10 lessons. 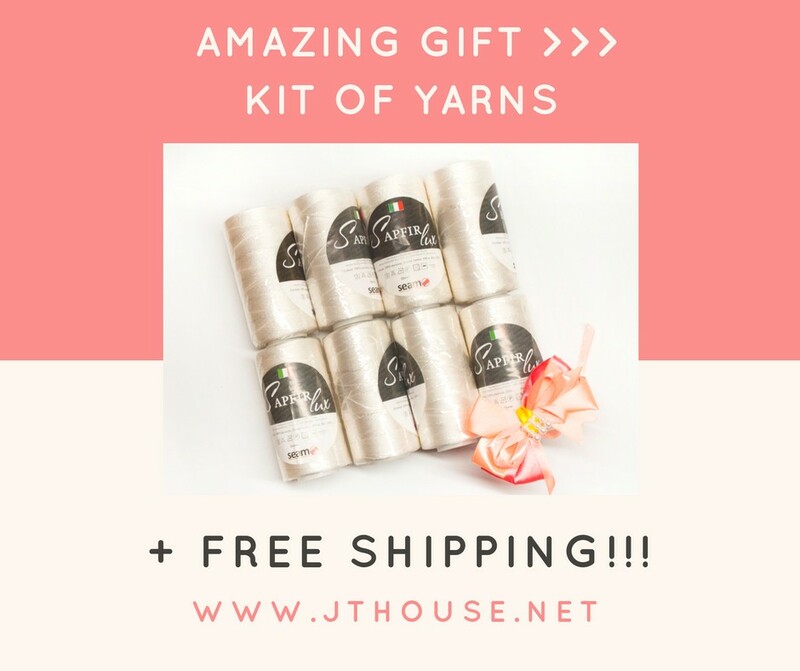 KIT of Yarns for making skirt "QUINCY" + Crochet hook in size 1.75 mm + FREE SHIPPING!! !